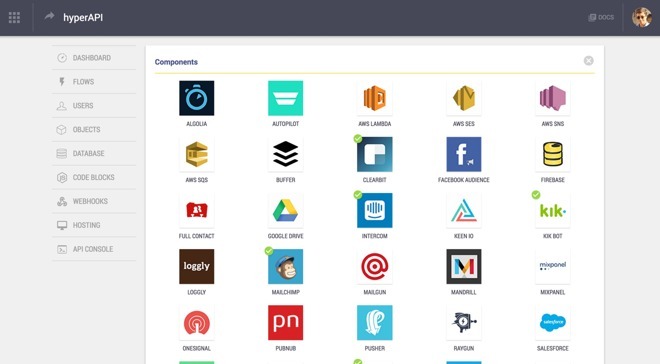 Stamplay specializes in providing a backend for developers to run their app from the cloud. Using a web-based editor, the service can combine together multiple APIs for payments, notifications, messaging, and other elements, with Stamplay handling the majority of the coding. Newspaper Il Sore 24 Ore reports the acquisition is valued at 5 million euro, with the purchase requiring the founders to become Apple employees, though it is unclear if it is an acquihire or a complete acquisition of the business. Founders Nicola Mattina and Guiliano Iacobelli grew the company to have three offices in Rome, London, and San Francisco, and have received about 800,000 euro in funding. The company also won Visa's "Everywhere Initiative" project in 2016, gaining it work from the card issuer. While there are most of the typical signs of an Apple-connected purchase, such as the firm's website offering little content aside from a basic page, there is no official confirmation that a purchase has occurred. As of yet, Apple has not offered comment at all, and so far, hasn't provided AppleInsider the standard boilerplate about buying smaller technology companies. Apple's interest in Stamplay is likely to be purely to help developers produce iOS apps. Many apps do require some sort of backend system, a cloud server for managing user data and to perform functions, and it is an area that is usually overlooked by those new to app development, something Stamplay could certainly help improve.